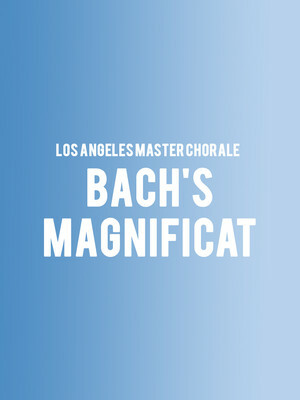 Why See Los Angeles Master Chorale - Bach's Magnificat? The city's premiere professional chorus the Los Angeles Master Chorale holds court at their Walt Disney Concert Hall residence for a special one-night-only performance of Reena Esmail's passionate piece 'This Love Between Us' and Bach's exciting Baroque masterpiece the 'Magnifcat'. Music Director Grant Gershon leads the ensemble, who performs only ten times per season and vigorously champions contemporary compositions and world premiere works. Weaving together seven musical movements with the words of seven major religious traditions, namely Jainism, Islam, Hinduism, Zaroastrianism, Christianity, Sikhism and Bhuddism, Esmail's experimental work explores the themes of unity, kindness and brotherhood present in these texts. A gift for his home city of Liepzig, the Magnifcat is a cheerfully bright and brilliant 12-movement church piece inspired by the Latin text of the story of the Virgin Mary in the Gospel of Luke. A showcase of the then-young composer's genius, the work pushes its performers to dazzle the listener with its complex and virtuosic technical demands. Sound good to you? Share this page on social media and let your friends know about Los Angeles Master Chorale - Bach's Magnificat at Walt Disney Concert Hall. Please note: The term Walt Disney Concert Hall and/or Los Angeles Master Chorale - Bach's Magnificat as well as all associated graphics, logos, and/or other trademarks, tradenames or copyrights are the property of the Walt Disney Concert Hall and/or Los Angeles Master Chorale - Bach's Magnificat and are used herein for factual descriptive purposes only. 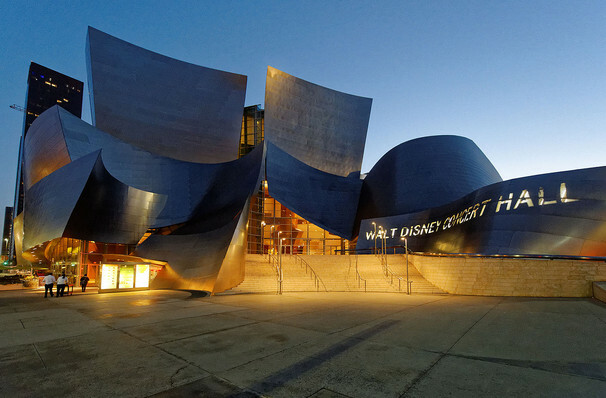 We are in no way associated with or authorized by the Walt Disney Concert Hall and/or Los Angeles Master Chorale - Bach's Magnificat and neither that entity nor any of its affiliates have licensed or endorsed us to sell tickets, goods and or services in conjunction with their events.